WHY NORMAN & OLIVER, P.C.? At Norman and Oliver, P.C., we enjoy what we do, and want to share information about us and our work for our clients. We focus on helping people get tangible accomplishments in their lives and business — buying land, building and leasing income-producing property, estate planning, preparing wills, helping with business contracts, or lending or borrowing money. Our Philosophy. We work hard for our clients and make sure they're taken care of. We take care of matters as fast as we can, and our clients really appreciate that. We return calls as soon as possible. Our clients find us approachable, trust us, and treat us like a confidante. Who are our Clients? Individuals, families, businesspeople, local companies and local representation of national companies. Our typical client. There really isn't one, but we'll give a few examples. Our Goal. We want our clients to achieve their goals — whether it is handling a successful closing, creating a lasting estate plan, forming a new business, or assisting in real estate projects — as quickly and effectively as possible. Our History. Jimmy Norman and Carl Oliver joined their 22+ year law practices in 2004. Linda Washington, paralegal, joined our team in 2005, Karen Jameson, paralegal, in 2006, and Roxe Ann Jordan, legal assistant, and Chris Carlin, attorney, in 2012. 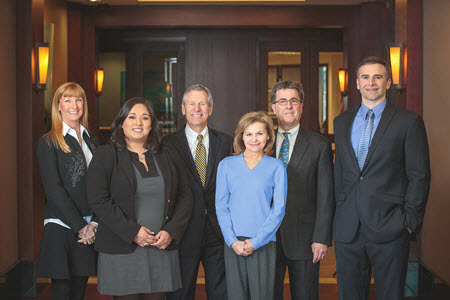 We are very proud of our entire team and believe you will enjoy working with each person in our firm. Copyright © 2006-2017 Norman & Oliver, P.C. All rights reserved.